Halal (sanctioned by Islamic law) tourism numbers are expected to hit 150 million in travellers volume and collectively spend an estimated $200bn by 2020. Amadeus’ report unveils the way ahead for the travel industry to cater for this growing traveller segment. DUBAI, UAE – “Halal Travel 2016”, a report conducted by UK-based research firm Context Consulting and commissioned by Amadeus, was presented at Dubai’s Arabian Travel Market. The study gives an insight into the current needs and future expectations of this travel group whose importance is growing globally. Halal seekers plan their trip to maximize ‘cultural return on investment’. Halal travellers want to choose Halal-friendly accommodation that gives them freedom. 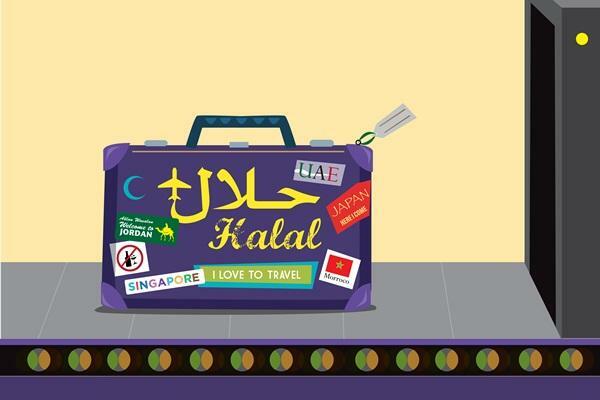 At their destination, halal travellers want to explore within their comfort zone. – Limited dining options are an issue for halal travellers: they want to have dining alternatives. Some want high end or gourmet options. Others want to be able to experience local cuisine in a Halal way. – Halal travellers have special transportation needs at their destination: Private drivers in particular appeal to husbands who are sometimes concerned about not looking an ‘expert’ in a country and a private driver helps avoid this. – Additional destination services are motivating to Halal travellers. Other findings point to the influential role of women in the travel decision process, planning and some of the logistics; halal travelers wish to discover and unlock untapped destinations and a clear differentiation in travel preferences, depending on their kind of profile: Comfort, Explorer, Core Family, Extended Family, Deal-Seeker, and Simplicity-Seeker. Since halal travellers frequently originate from the Middle Eastern region, there is a premium placed on human interaction, and travel agencies and tour operators and consultants play a key role in supporting the travel planning. The halal travellers’ motives and context need to be understood to create the right travel package, and this is particularly relevant when planning complex multi-destination trips. There is a clear preference for booking all travel, tours, and accommodation in advance, as families and groups do not favour the uncertainty of unplanned trips. Recent figures have shown that the halal tourism sector was valued at $145bn in 2014, and is one of the fastest growing travel segments in the world, growing at 4.8 per cent against the industry average of 3.8 per cent. Economic growth in the Islamic world have given rise to a Muslim consumer who is, on average, younger, more educated, and with a larger disposable income than before, giving rise to an increased propensity to international travel and holidays. Antoine Medawar, Vice President Middle East and North Africa, at Amadeus, says: “Halal travellers are a demographic that represents a powerful opportunity. This is a group of individuals and families that have certain unique requirements of their destinations and travel service offering. The Amadeus-commissioned Halal Travel 2016 study uncovers some of the key areas that the industry can work with this segment on, as well as some of the additional offerings that will serve to enhance the customer’s travel experience, and thereby lead to higher spending”.